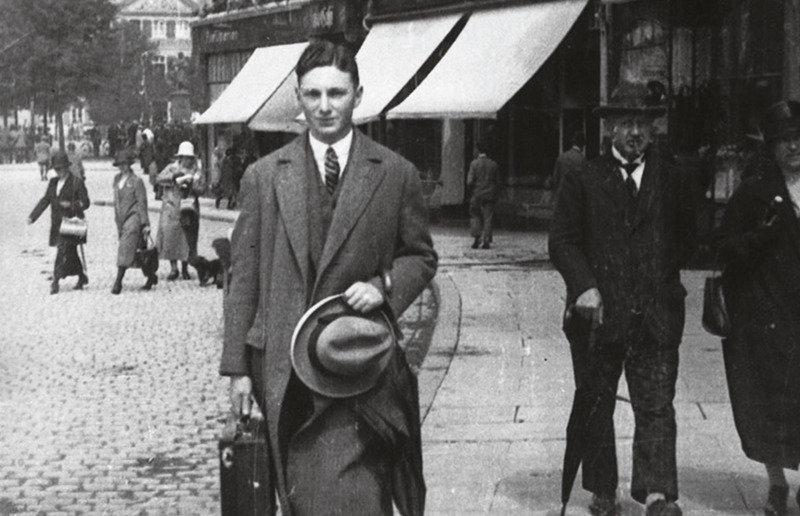 When the Jewish art dealer Max Stern was forced to sell his inventory and flee Nazi Germany in 1937 with just a suitcase, he left behind a legacy that would continue to stir heated debate among art historians, lawyers, collectors and dealers more than 80 years later. Stern’s career is set to remain at the centre of discussions about Nazi-looted art in 2019. His life and work are the focus of a controversial conference in Düsseldorf on 13 February, and a new research project has received German government funding to explore his persecution by the Nazis. Two restitution claims from the Stern estate for paintings could have broader repercussions. One concerns a work by Hans von Marées, now in the Bavarian State Painting Collections, which is under scrutiny by the government’s advisory panel on Nazi-looted art; the other, a painting by Andreas Achenbach, faces a court challenge (see case histories this page and opposite). It is also likely that more works sold by Stern before he fled the country will resurface in the Rhineland this year, as they have over the past decade with some regularity. Last year, two re-emerged. 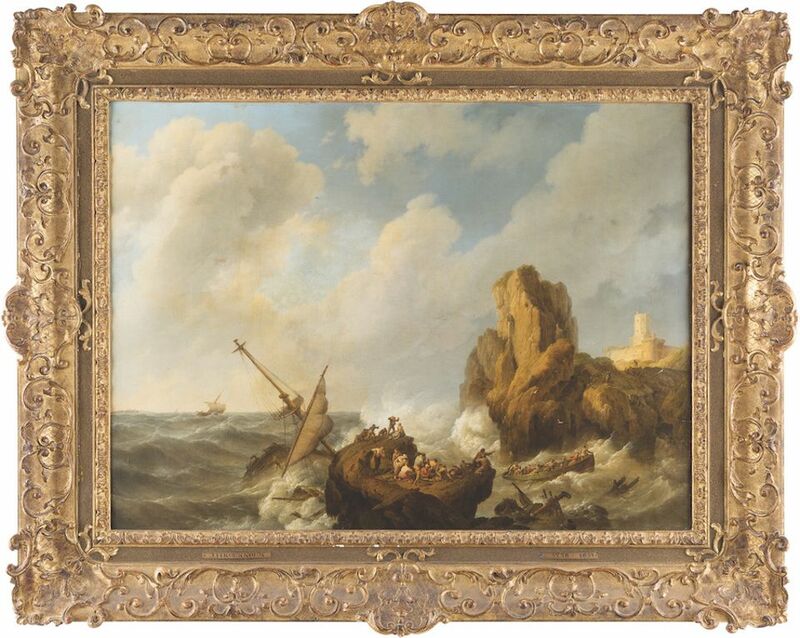 An 18th-century Dutch maritime scene by Johannes Hermanus Koekkoek, was returned to Stern’s heirs by the Düsseldorf auction house Hargesheimer Kunstauktionen. Cairo, a painting by Emile Charles Wauters, was withdrawn from auction and returned to its consignors by Lempertz—the same auction house that handled the 1937 forced sale. 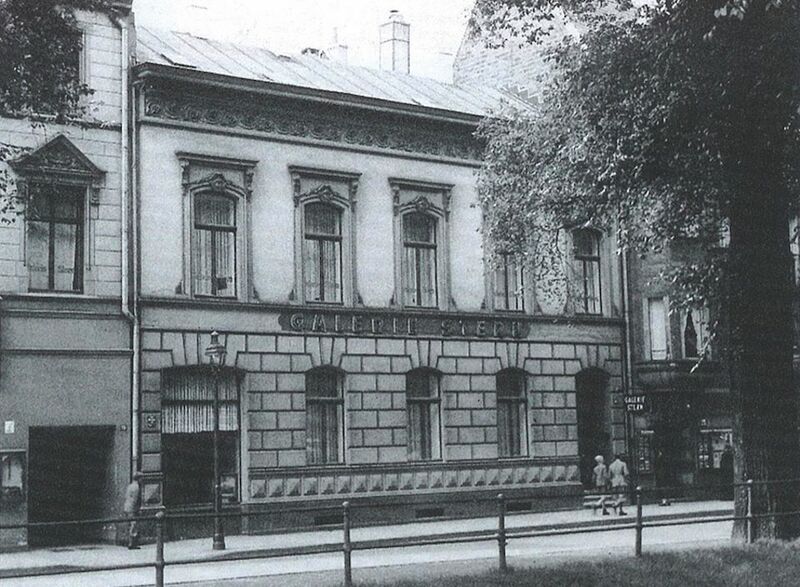 Founded by Julius Stern in 1913, Galerie Stern was located on the prestigious Königsallee in Düsseldorf. Its main focus was local painters of the 19th century, although it also sold contemporary art and Old Masters. Max took over the gallery after the death of his father in 1934, a year after all non-Nazi political parties had been outlawed. He wrote in his autobiography that “business was flourishing, when suddenly the Reichstag fire shook us out of complacency and drew our attention to the constantly growing danger”. Barred from art dealing in 1935, he still managed to run his business until forced to close and sell his stock in 1937. He fled Germany and, after being interned in Britain and Canada, settled in Montreal in 1941. There he became the director and, later, the owner of Dominion Gallery, once again building a thriving art business. He died childless in 1987 and bequeathed the bulk of his estate to three universities—Concordia and McGill in Montreal, and the Hebrew University in Jerusalem. In 2002, the estate, now known as the Max and Iris Stern Foundation, launched an initiative to recover his lost art, the Max Stern Art Restitution Project. The foundation is seeking around 400 works altogether; so far, it has recovered 18. What differentiates the Stern estate from other heirs attempting to retrieve works of art that were looted by the Nazis is its substantial resources and institutional background. In most cases, claims are filed by the families of Jewish collectors, who often have limited resources and time to spend tracking down art. The Max Stern Art Restitution Project, in contrast, has employed the provenance researcher Willi Korte as its chief investigator since 2002. It has support from the Canadian government as well as the three university legatees, and has cooperated with the Holocaust Claims Processing Office in New York, Interpol and US law enforcers to recover works. “This unique support system means that we are not going away,” Korte says. “We are not going to die or run out of money.” Those resources also uniquely position the project to push for changes to restitution policies that may benefit other heirs trying to recover art, he says. Another characteristic of Stern’s legacy is that the art itself is not all of museum quality, Korte says. Where individual heirs may decide it is not worth their while to chase works that are valued at only a few thousand euros, the Stern project operates according to the principle that all Nazi-looted art should be returned and does not prioritise the restitution of the more valuable paintings. But the project’s determined pursuit of Stern’s looted art and its clear pro-restitution agenda has ruffled feathers in Germany—particularly in Stern’s home city. In 2017, the Düsseldorf mayor, Thomas Geisel, abruptly cancelled an exhibition initiated by the Max Stern Art Restitution Project, which was intended to pay homage to the dealer, three months before it was due to open, citing “current demands for information and restitution in German museums in connection with the Galerie Max Stern”. 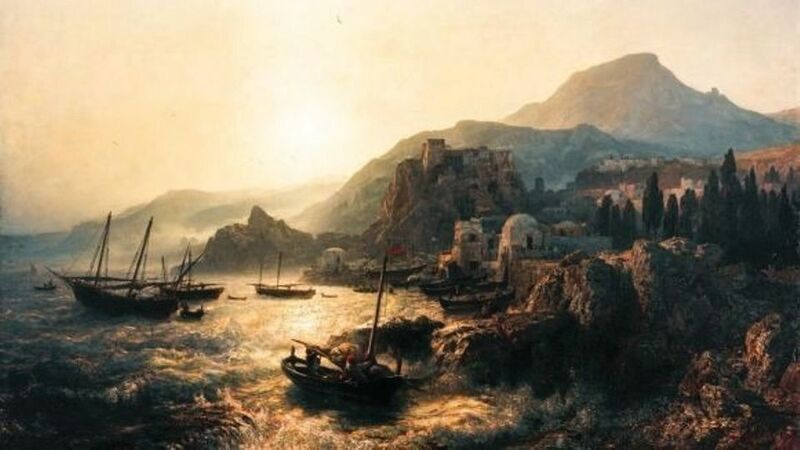 Project has successfully recovered one painting from the city collections, but has outstanding claims for Wilhelm von Schadow’s The Artist’s Children (1830), which once hung in the mayor’s office, and Sunset on the North Sea by Heinrich Heimes, in the Kunstpalast museum collection. The city has rejected both claims. Geisel later justified his decision to scrap the show by suggesting that the exhibition as it was originally conceived would be “one-sided”. But the last-minute cancellation sparked outrage from Jewish groups in Düsseldorf and the Stadtmuseum’s partners in Israel and Canada, both of which had planned to show the exhibition after its run in Germany. Ronald Lauder, the president of the World Jewish Congress, called the mayor’s move absurd. Facing a chorus of indignation, Geisel reversed his decision and said Düsseldorf would go ahead with the exhibition at a later date in a “more complete and revised form”, and would first hold a symposium on the dealer’s life and work. But the Canadian curators of the exhibition, Catherine MacKenzie, a professor of art history from Montreal, and Philip Dombowsky, the head of the Stern archive at the National Gallery of Canada, withdrew from the exhibition and declined to participate in the symposium. MacKenzie said she felt the team’s work on Stern “was being increasingly devalued”. The symposium in February, entitled Galerie Stern Within the Context of the Rhineland Art Trade During National Socialism, will form the basis for the exhibition, which is now scheduled for the autumn of 2020, according to Hans-Georg Lohe, Düsseldorf’s chief culture official. Speakers include Isabel Pfeiffer-Pönsgen, the culture minister of the state of North Rhine-Westphalia, Andrea Bambi, a provenance researcher at the Bavarian State Painting Collections, and Luise Mahler and Christel Force from New York’s Metropolitan Museum of Art. Separately from the Düsseldorf symposium, the Stern Cooperation Project began operating in July 2018 after receiving a grant of €120,000 from the German Lost Art Foundation. This research project, coordinated by the Zentralinstitut für Kunstgeschichte (Central Institute for Art History) in Munich, will involve scholars from Israel and Canada—including MacKenzie—and is supported by two of Stern’s heirs, the Hebrew University and Concordia. Rather than examining the fate of individual paintings, the project will focus on his biography and the experiences of his family and acquaintances during the Nazi era, says Stephan Klingen, a scholar at the ZIKG. This oil-on-wood painting was bought by the Bavarian State Painting Collection in 1986 at the auction house Karl und Faber in Munich. The Max Stern Art Restitution Project says that the work belonged to Stern, who sold it in 1936. While the Bavarian State Painting Collections agrees that Stern sold a painting by Marées in 1936, it argues that there is not enough evidence that he was the owner and did not sell it on consignment. The institution also questions whether all sales made by Stern after he was ordered to liquidate his gallery should be viewed as losses incurred through Nazi persecution. The two sides have requested the German government’s Advisory Commission on Nazi-looted art to examine the claim. The panel, which has made no recommendations since January 2017, has given no date for its decision. When it comes, the panel’s opinion will have implications for how claims for Stern’s paintings sold after 1935 and before the 1937 Lempertz sale are viewed in future. The Museum Kunstpalast in Düsseldorf withdrew this painting from an exhibition in July 2017, after the Max Stern Art Restitution Project filed a claim for it. The show featured works owned by a private collector, Wolfgang Peiffer, who had acquired Sicilian Landscape without knowing its provenance at a Phillips auction in London in 1999. Its value is estimated at about €75,000. Peiffer has said he believes Stern sold the painting in a “perfectly normal gallery transaction”. The restitution project argues that sales records show that Stern sold the Achenbach painting in 1937, when he was under pressure to liquidate his gallery fast before he fled Germany. The painting is listed as missing from the Stern collection on the German government LostArt.de website. Peiffer’s lawyer filed a suit in May 2018 at the Magdeburg regional court, asking it to ban the Stern estate from claiming ownership of the painting, and stating that any legal claim to the work in Germany is subject to statutes of limitation. Korte says that, if successful, the lawsuit could threaten databases such as LostArt, which list works lost in the Nazi era. But Ulf Bischof, a German art lawyer, says that while legal claims in Germany are usually impeded by statutes of limitation, current holders should not be able to prevent the publication of information about a work’s ownership history.